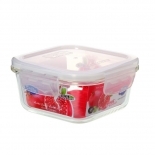 As a heat-resistant square glass food container factory that produces high borosilicate glass food containers with locking lid, it is our mission to manufacture high quality products, offer multiple wholesale solutions and give our customers a satisfying procurement experience. 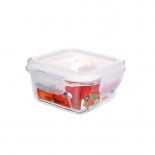 All Easylock square airtight glass food storage containers bases are resistant to >400℃ and the lid are made from BPA free polypropylene plastic which are safe to contact foods. High-borosilicate glass is good at dealing with high temperatures. It's safe to be used in temperatures between -120℃ and 400℃. 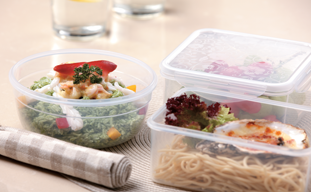 Sudden temperature change should be within 120℃ or it might do harm to your food containers. 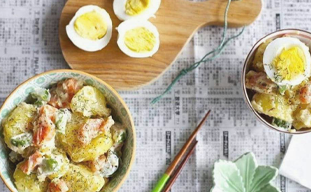 As it's heat-resistant, you can use it in oven, microwave, freezer and refrigerator. As a hot-sale series among office workers, leakproofness is the upmost feature both our customers and our customers' customers care about. 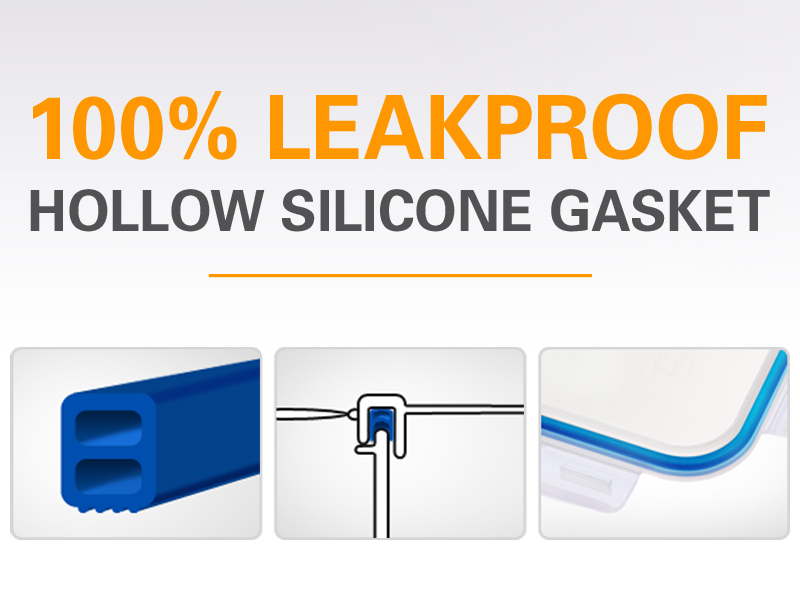 The silicone gasket in the rim of the 4 side lock lids are hollow and prevent liquids from leaking out. 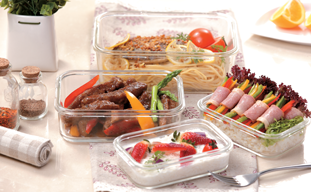 Beside the heat-resistant issue, other reasons why glass food containers are welcomed is that the glass surface are smooth and not easy to absorb odors and smells. The high-borosilicate glass can easily be cleaned by hand-washing and of course, it is safe in dishwasher as well. Remember to put it on top rack to protect the food container. Some foods packagings take up much of space for transport safety, such as fried chips and crispy snacks. 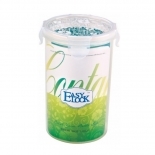 You can put the snacks and chips in Easylock food containers to keep your kitchen and cabinet tidied(You can see through the food containers to see what's inside without open them up to check). 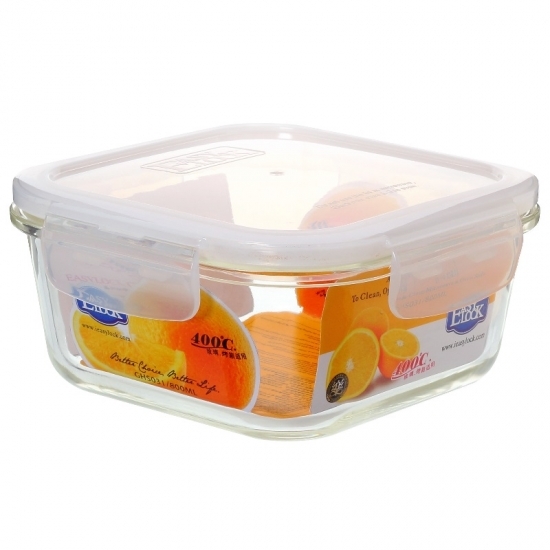 Moreover, the plastic lid is tough enough against stress and you can pile up numbers of glass food containers so as to save space.